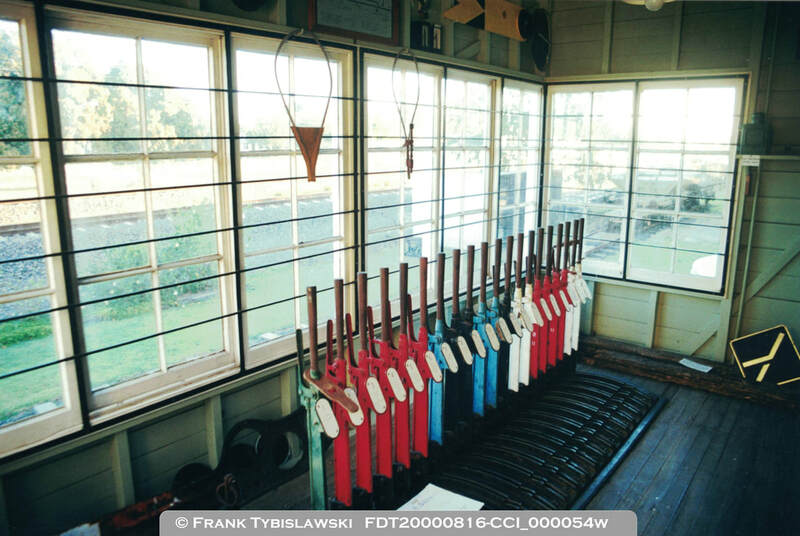 On this page you will find details of signal cabins that have been decommissioned and relocated as a complete structure, including the lever frame and possibly other items like the diagram. 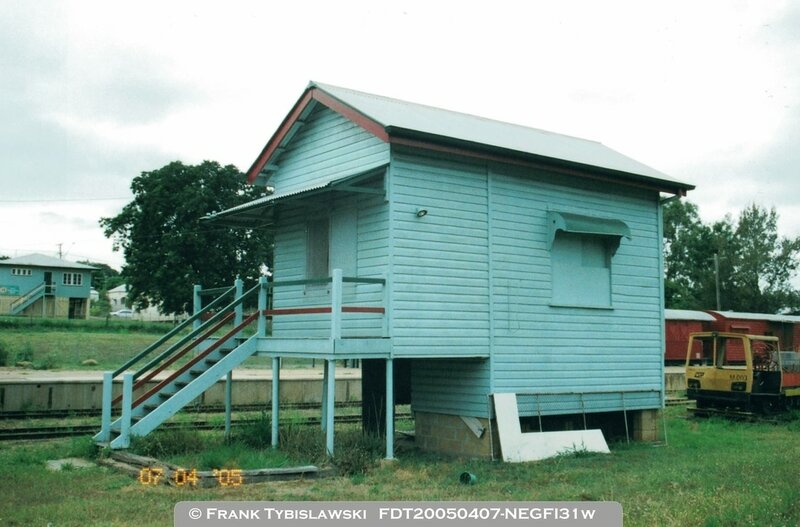 Chinchilla: Signal cabin building and lever frame relocated to Chinchilla Historical Village and open for public viewing. 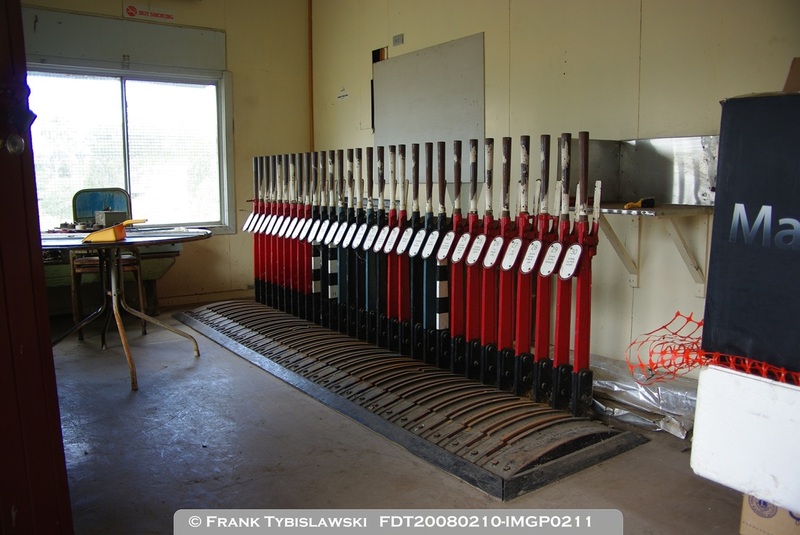 Had a 10 lever frame when decommissioned but had a larger lever frame at an earlier stage. 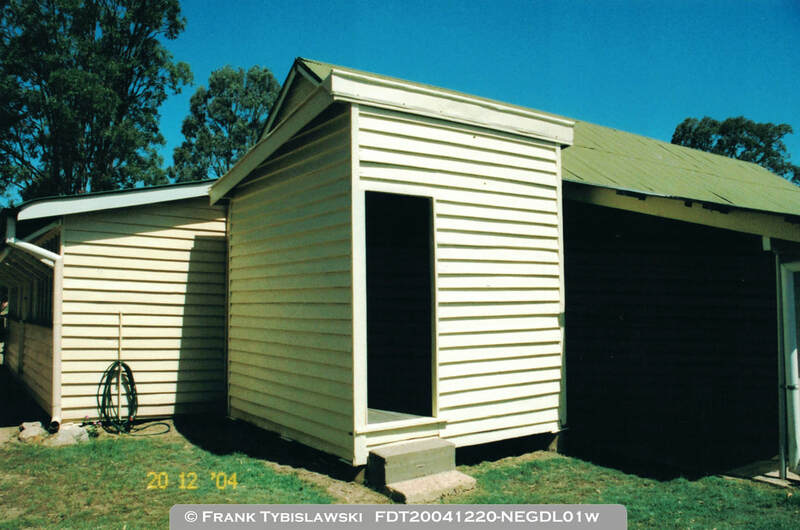 The images below show the cabin after relocation to the Historical Village. 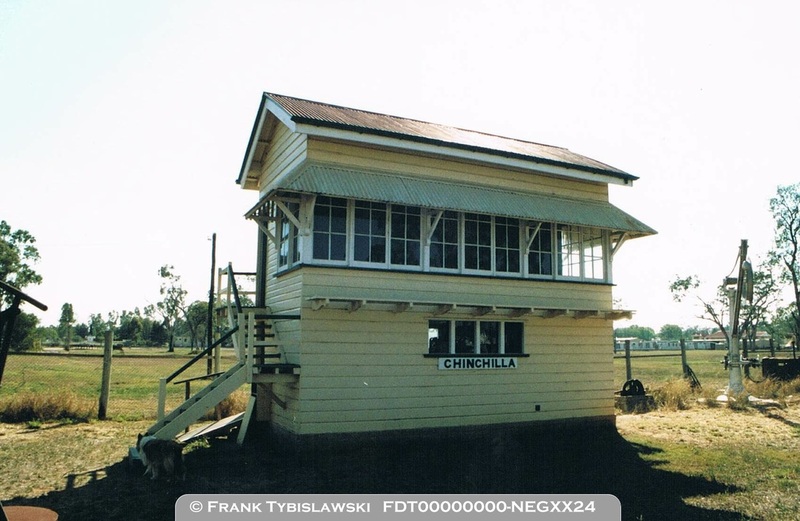 The images below show Chinchilla signal cabin while it was still in use. 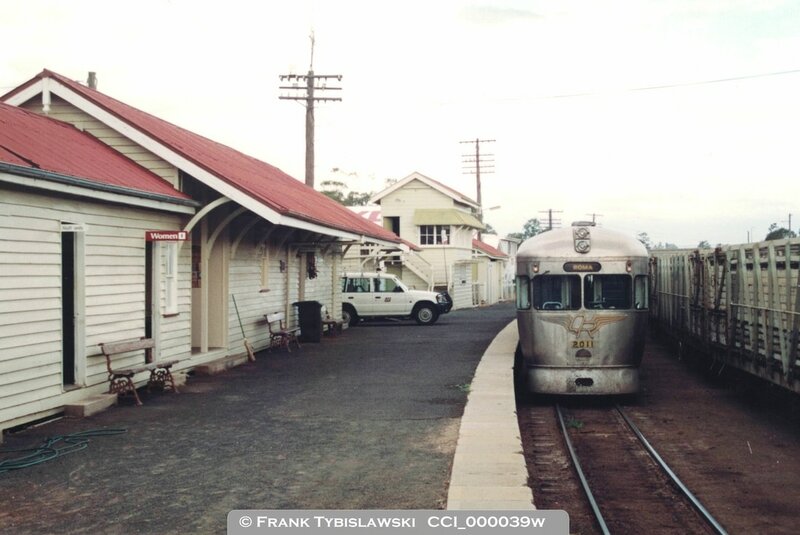 Taken around 1991 when a rail motor service ran between Toowoomba and Roma. 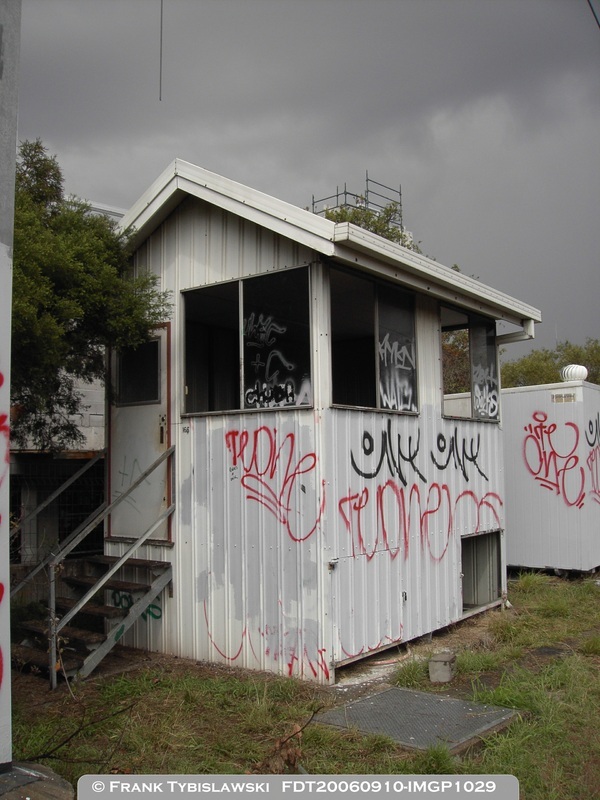 Glenmore Junction: Signal cabin building and lever frame relocated to Mt Morgan station, however presently un-used. Originally had a 14 lever frame, later altered to a 30 lever frame. Note the extension to the building closest to the access steps. Ipswich: Signal cabin building and lever frame remained in situ until Saturday 17-1-2015. 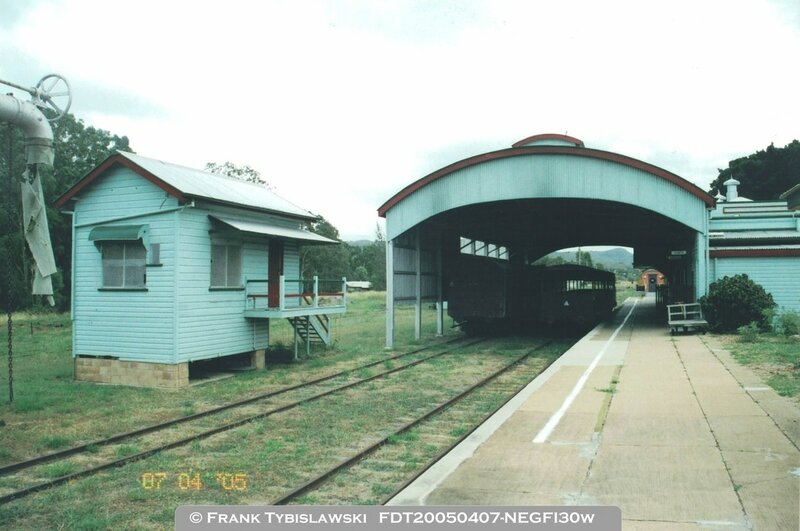 On that day relocation commenced to The Workshops Rail Museum at North Ipswich. 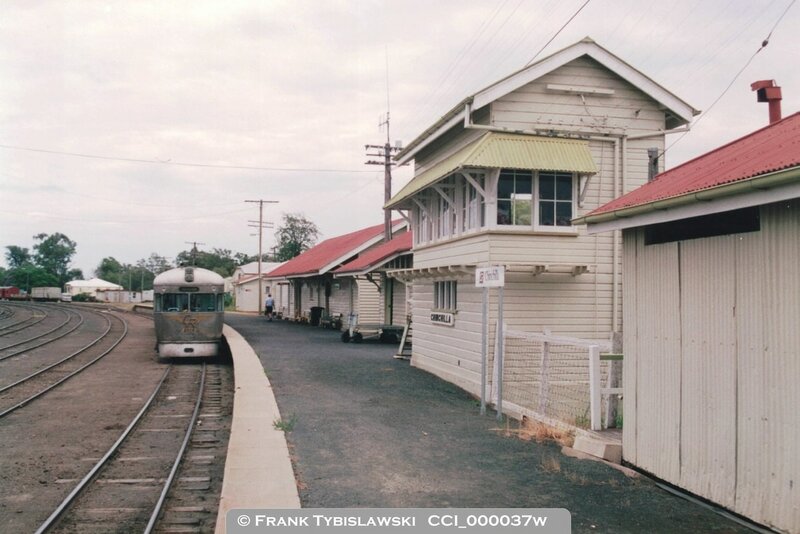 The building was removed in sections, and is in storage at The Workshops Museum pending plans to rebuild it. 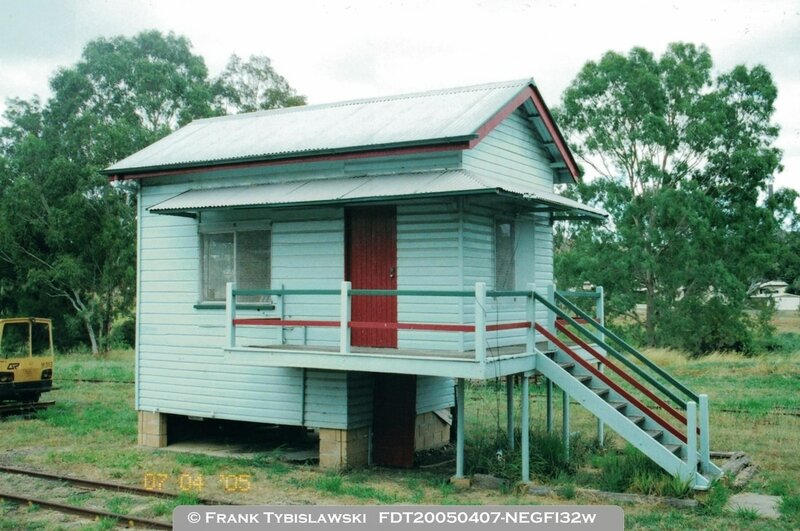 The signal cabin stood at Ipswich from 1895 to 2015 - 120 years. 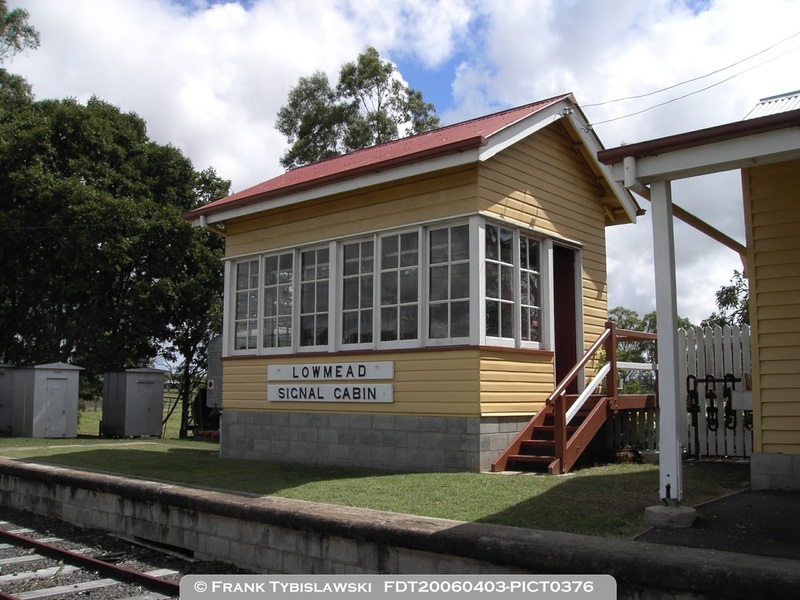 Lowmead: Signal cabin building and lever frame relocated to North Bundaberg Railway Museum, fully restored and open for public viewing. Has a 20 lever frame. 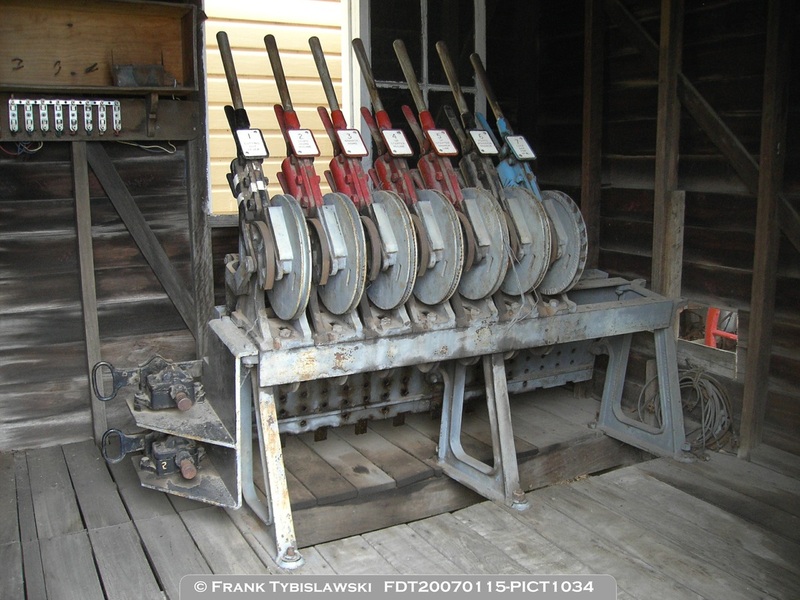 Miles: Signal cabin building and lever frame relocated to Miles Historical Village and open for public viewing. 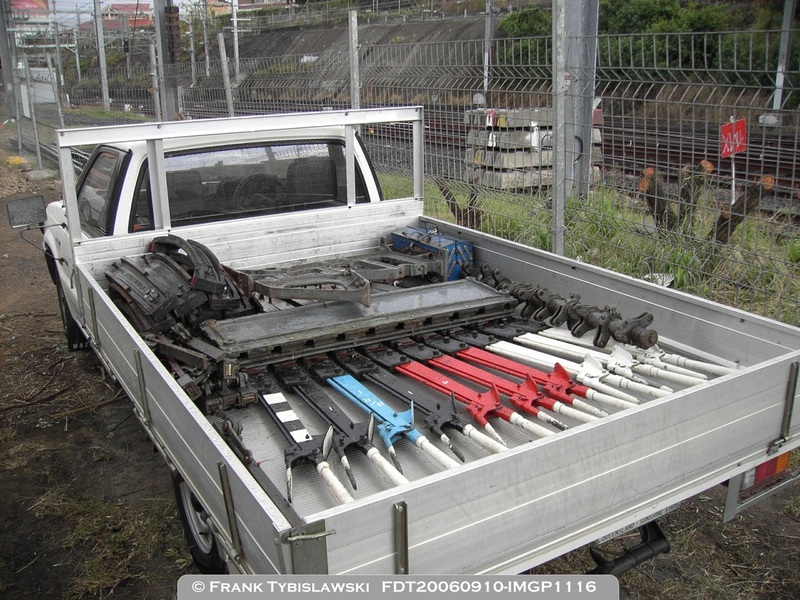 Has a 7 lever double wire frame, which is the only complete double wire frame still existing. 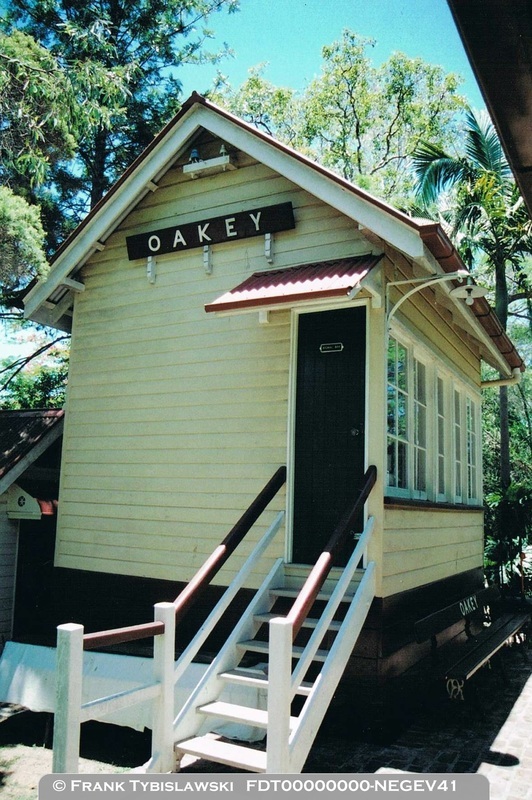 Oakey: Signal cabin building and lever frame relocated to a private collection and fully restored. 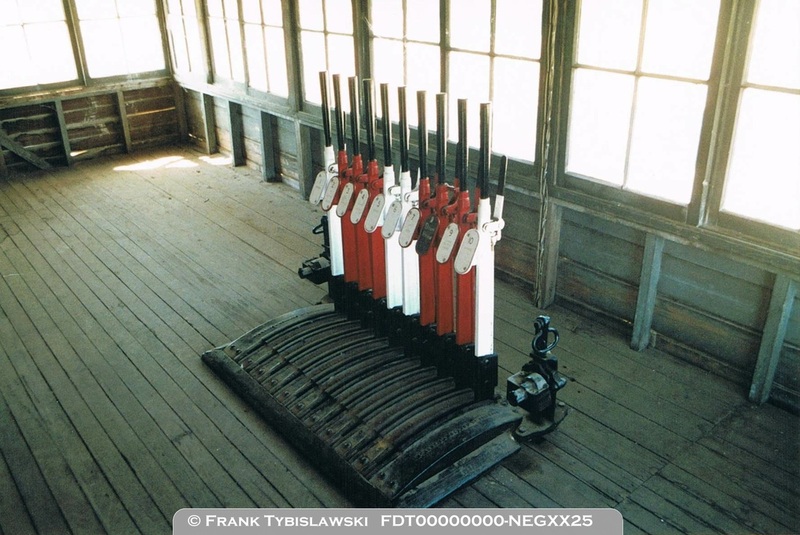 Has a 20 lever frame, the cabin diagram and also retains its interlocking as it was when decommissioned. 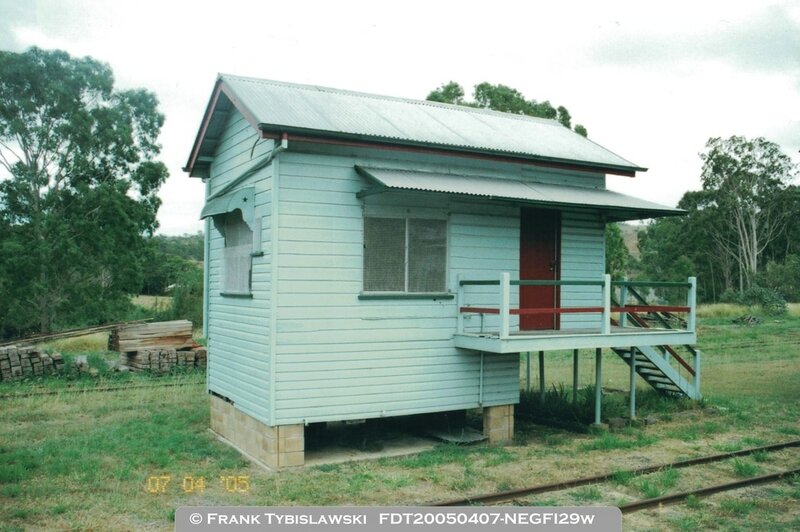 Roma Street Uniform Gauge Ground Frame: Signal cabin building and lever frame relocated to Queensland Pioneer Steam Railway at Box Flat for future restoration. Has a 10 lever frame.